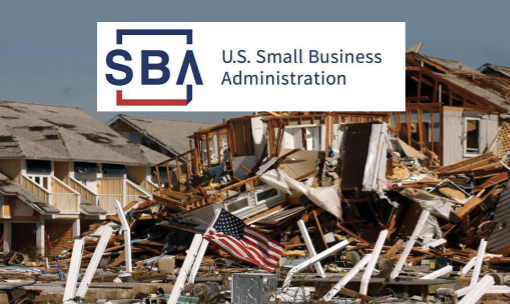 Innovative Ways Women Entrepreneurs Can Gain Access to Capital Small Business Optimism Highest Since 1983 Celebrate National Veterans Small Business Week! 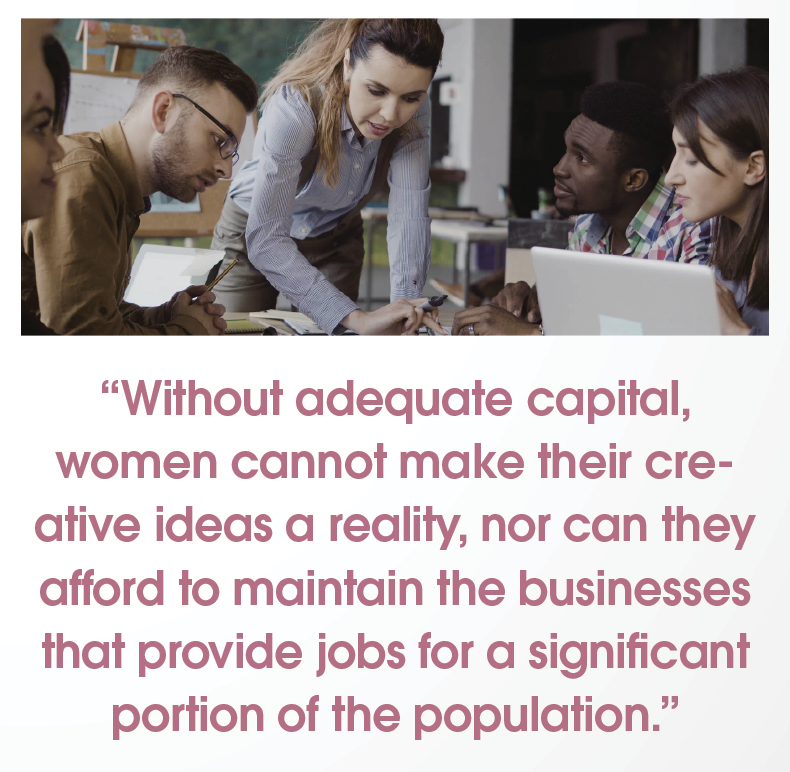 Without adequate capital, women cannot make their creative ideas a reality, nor can they afford to maintain the businesses that provide jobs for a significant portion of the population. According to U.S. Census Bureau data, women own 36 percent of privately-held businesses and contribute $3 trillion to the economy due to job creation—creating 16 percent of jobs in the nation. The desire to accumulate money is a reason why some women are driven to start their own business, but a lack of it can drive them out of a traditional way of making a living in America. Entrepreneurship is a tried and true way of generating wealth and women are driven to self-employment for its other benefits as well, including the ability to be their own boss, work flexible hours and do something that they are passionate about and enjoy. As more women become their own bosses, they compose a larger share of small businesses, of which 80 percent have no employees other than the owner, in the United States. In 2013, there were 28.8 million small businesses in the United States. According to the Kauffman Foundation’s 2016 report, Changing Capital: Emerging Trends in Entrepreneurial Finance, the advent of online sources for capital such as crowdfunding, online lending and angel syndicates, and new venture funds with innovative investing goals, has made it easier for entrepreneurs to access modest amounts of capital alongside a decreased cost in transaction and capital formation. Crowdfunding is an efficient way to gain capital from many individuals through small donations, and is low risk compared to venture angels and banks. A 2015 Massolution report estimates that $17.2 billion was invested in North America through crowdfunding websites, a number that is increasing with each subsequent year. Top crowdfunding platforms incluse Kickstarter, Indiegogo, GoFundMe, CircleUp, Patreon, Crowdrise, Razoo, AngelList and many more. A report from the National Women’s Business Council (NWBC), Crowdfunding as a Capital Source for Women Entrepreneurs, explores the relationship between crowdfunding and women entrepreneurs, aiming to garner a deeper understanding of crowdfunding as a source of business capital. As the report articulates, crowdfunding is an “alternative finance solution that attempts to fill the gap left by traditional financing sources, especially as it relates to small and medium enterprises (SME) financing needs.” Usually taking place on websites, crowdfunding is fueled by social media exposure making it easier to reach larger networks of would-be investors with an entrepreneur’s business venture. Report findings indicate that Kickstarter and Indigogo are the two largest reward-based crowdfunding platforms in the world; meanwhile, Prosper and Kiva are the most popular lending-based platforms. As of mid-2016, approximately 85 companies had successfully raised equity through crowdfunding in the U.S.
● Lower funding goals correlate to higher funding success rates, but evidence also support that women’s stronger social networks contribute to their higher success rate. Crowdfunding has the potential to fill a significant role in the future of business capital, growing formidably in the past 15 years alone. Although the report acknowledges further research is needed to fully determine the role and effect of crowdfunding in women’s entrepreneurship, it holds a reasonable capacity to support women entrepreneurs and investors in the business ecosystem. ● Women entrepreneurs can test product market fit, build their network, test product lines and have friends they support return the favor. ● Utilize your social media presence in getting your business’s name out there and building a community who support and advocate your product. ● Supportive networks, effective communication and social media presence will bring greater success. Women entrepreneurs have trouble raising capital, especially through business angel and venture sources, but the NWBC’s Entrepreneurial Ecosystems and their Service of Women Entrepreneurs report suggests ways to combat this problem. One important way is to demonstrate to venture capital firms the benefit of having more diverse management teams, including higher performance and greater investment opportunities available for women entrepreneurs. One up-and-coming trend in impact investing is gender lens investment. According to Veris Wealth Partners, investment of this type has risen 41 percent in the past year, up to $910 million. In addition, the number of mandated publicly traded gender lens investment strategies has reached a total of 22, after 5 years of steady growth. This is an incredible increase from the years 1993 to 2012, when there were only 5 strategies for gender lens investing. If an investment satisfies at least one of these criteria, some wealth management companies believe it will have a positive impact on the economic opportunities and growth for women and girls. An emerging means for access to capital for small businesses in particular are online lending tools. The 2017 Kauffman Foundation report states that many businesses are in need of funds to manage cash flow and to access short-term financing, and the most commonly used tools—as estimated by a study by a 2015 Federal Reserve Bank of New York study—are loans and lines of credit. Small businesses are becoming attracted to merchant cash advances, with 7 percent using merchant cash advances in 2014. As women owned 12.3 million out of a total 28.8 million U.S. small businesses in 2013, according to the U.S. Small Business Administration Office of Advocacy, women entrepreneurs are most likely to be those that are leveraging this option. Fintech companies like OnDeck and Kabbage are facilitating small businesses’ access to credit in online lending by providing fast online vetting for small business loans, utilizing personal data as well as credit scores. Their services have made it easier for financial institutions to make quicker decisions regarding lending, saving both time and money for small investment amounts. Traditional means of gaining access to capital, which typically involved a long and cost-intensive process, are being expanded with online options, which provide smaller loan amounts faster and at lower costs. 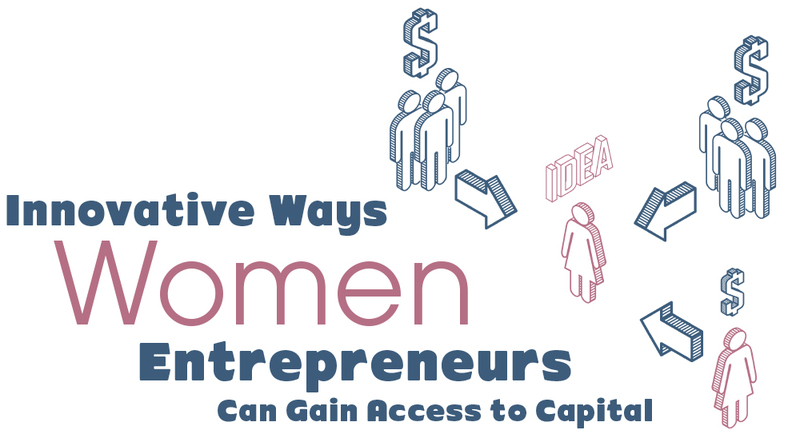 Whether they decide to leverage crowdfunding, merchant cash advances or sector-focused angel syndicates like gender-lens investment, women entrepreneurs in need of funds for their startup or capital for their business have new tools at their disposal. In time, these online platforms may become the new norm for individuals budding into entrepreneurship. Even in this new technologically-advanced age, it is still beneficial to have Direct Contacts. 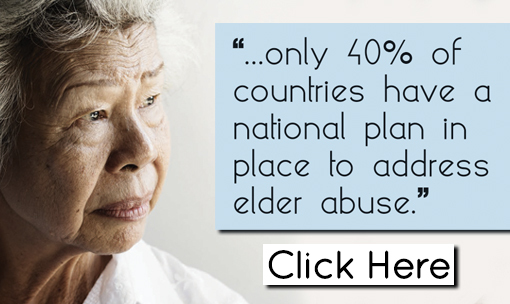 For the last 15 years, NAWRB has been personally communicating with the leaders in the capital financing field. One type of financing does not meet every need in the industry—do your research and find out which one is right for your business. 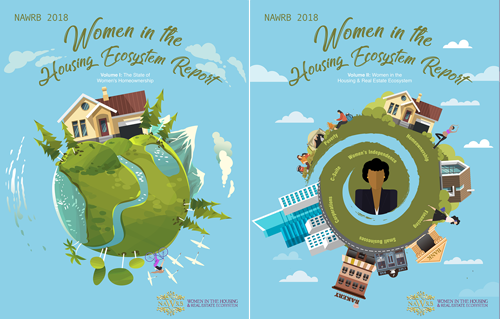 This entry was posted in Great Articles, NAWRB Magazine, News and tagged access to capital, entrepreneurship, female business owners, Women Entrepreneurs.